IMAGINE you walk into a train station during the middle of a power outage. There is no ambient light so you are in total darkness, forced to navigate your way through the area. How easily do you think you could cope? Would you know where your surroundings are? Would you be able to ask strangers for help? 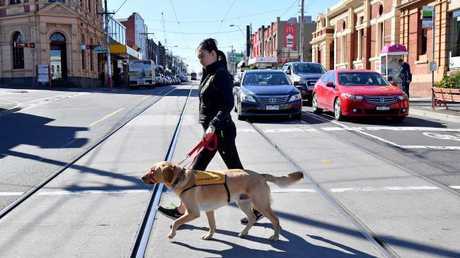 This is the harsh reality visually impaired people face every single day, but an innovative new concept in Melbourne is looking to change this once and for all. For the next eight months, Melbourne's Southern Cross Station will be running a pilot program using existing beacon and GPS technology to connect to a navigation app on a blind person's smartphone so they can be provided with audible directions in public spaces. Having been severely visually impaired for over 20 years, Guide Dogs Victoria client David Foran said the Blindsquare app has given him more independence than he has ever felt before. 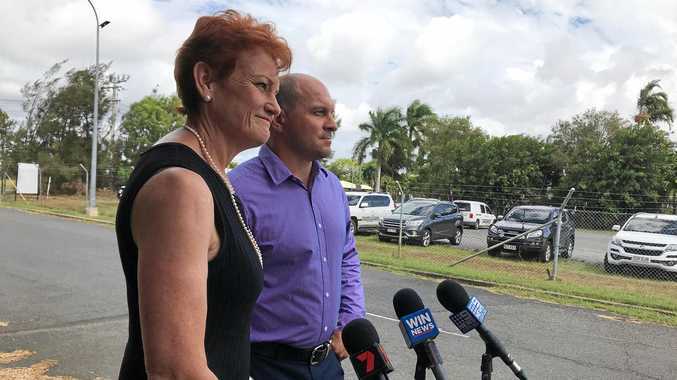 "It's such a simple thing to do and a game changer because I can all of a sudden metaphorically see again," Mr Foran told news.com.au. He used the example of walking into your office building. You can see where the reception is located. You can see where the elevators and stairs are. You can see the exit. For Mr Foran, the area is just a blank canvas that can only be slowly navigated by using guess work. "There is not much in terms of assistance for blind people, sometimes we have to ask strangers to help us and finding someone who can actually be bothered is a challenge on its own," he said. While not replacing guide dogs, this would give the blind more freedom. "However, this technology will audibly say reception is 10 metres to the left, the stairs are 20 metres in front of you, the lifts are two metres to your right. "This is really powerful and will allow me to find my way around in less time, which means less pre-planning and more confidence." Mr Foran said while the technology won't completely replace guide dogs or white canes anytime soon, he thinks adding them shopping centres, libraries and other popular spaces would be empowering for people in his position. "It's the sort of thing that will make a city inclusive and will allow disabled people to be independent," he said. "I think once businesses realise they can increase customers by adding these beacons, they will also warm to the idea." General Manager Client & Guide Dog Services Dr Alistair Stott said this type of technology has already been rolled out in parts of Europe and New Zealand, and he expected the trial in Australia to gain real traction. "Given the cost and maintenance of the beacons is very low and the app is free for users we don't see why this couldn't be rolled out nationally," he said. "The information is updated in real-time and will be available in 30 different languages." Do you support this idea? Continue the conversation in the comments below or with Matthew Dunn on Facebook and Twitter.